Wishing everyone a happy Easter long weekend from all of us at OPP! Emails will be monitored on both days. Please feel free to email us at sales@oppracing.com and we will be sure to respond as quick as we can. Track Day Enthusiasts come see opptrackdays.com to book Area 27 track days. 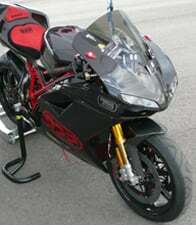 See more bikes at the OPP image gallery! 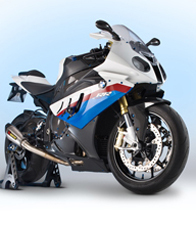 Welcome to Optimum Performance Products - Performance Motorcycle Parts Distributor. 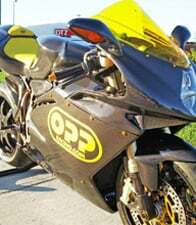 We are the premiere source for performance racing components and street accessories for Italian, Japanese, British and German sportbikes. We are proud to distribute the best aftermarket brands from around the world such as LighTech, Brembo, BST, Gilles Tooling, Samco Sport, FullSix Carbon, Brisk, CRG, Zero Gravity, Competition Werkes, Spiegler, Mad Doctor, Stomp Design, ER Racing, DEI, Thermo-Tec, TWM and more. If you have any questions, you can call or email us and we'll be happy to help you out.